Search engine optimization has become a very crucial part of web development. It involves improving the visibility of a website on search engines such as Google or Bing making it easier for your audience to find your website online. At Insight Web Design and Development, we understand the importance of SEO as more visibility equals more leads. By using the latest and most effective techniques, we aim to provide advantage to our clients over their competitors. To make a search engine friendly website a well thought out strategy is an important first step. 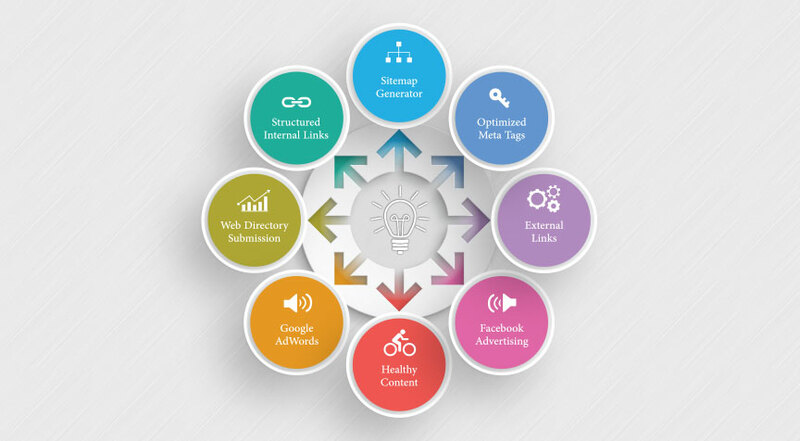 A successful SEO strategy involves various techniques that work best when used together. Firstly, a strong technical infrastructure needs to be built to allow search engines to easily read your website. Secondly, content on the website needs to be of good quality, well researched and unique; Google’s algorithm lowers the website’s rank if the content is copied. Thirdly, extensive link building is required both internally and externally; quality linking raises the overall popularity of your website. Maximizing Meta Tags – The title and Meta description of a website are displayed when it is listed in the search results. It’s a short description of the websites that informs the audience what a website does. The content included in this area plays a major role in your site’s click through rate (CTR). In order to maximize the CTR, customized Meta descriptions are written for all pages, and need to be interesting and easily understandable. Getting Indexed Search engines use crawlers to index your website for updates such as fresh content or even address changes. In order to rank your website, search engines must first be able to crawl your website efficiently. To accomplish this, external links or in other words, business directories, is necessary. Daily search for broken links – to prevent dead endings, this method benefit your website on 2 perspectives, visitors won’t reach pages displaying errors and empty contents, and your website sitemap will be much more healthy without dead endings. Daily or weekly sitemap generator – can send a ping to Google and other search engines of all your new or modified links within your website, your website is similar to a tree with branches, a site map generator will draw this tree starting from the trunk, ending on the very extremities of your website, the purpose is to inform engine on the exact shape of your website. Google Analytic – are used to track how well the SEO efforts are doing by calculating the traffic each keyword brings to your website. It opens up a world of useful information for your website visitors. xYou can hire any SEO agency to get fast results but you will only receive short term results from them. They mainly use Black Hat techniques that can damage your ranking severely in the future; only a few offer a truly organic SEO experience – the kind that lasts.